The 1920s Tudor Revival house on the corner of NW Jackson Street and Arnold Way may be small, but will host many cultural events in the coming months. 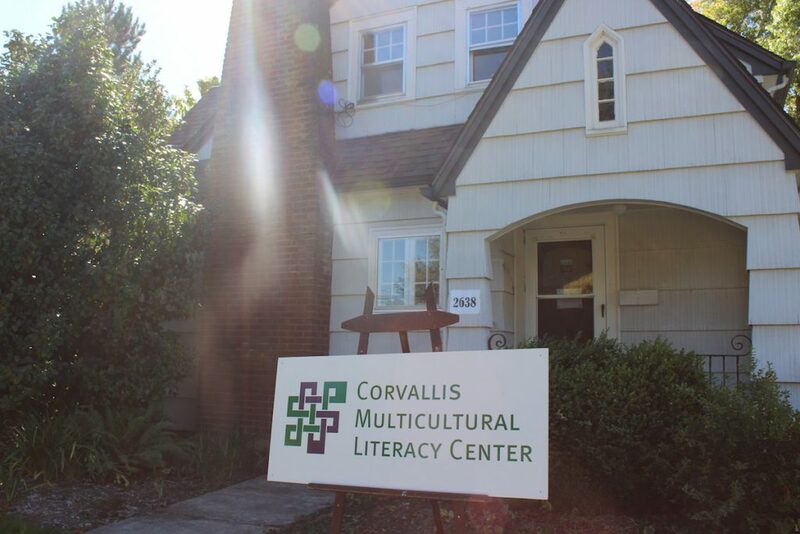 The former Asian & Pacific Cultural Center, now named the Einerson House, was renovated this summer to house the Corvallis Multicultural Literacy Center (CMLC), a learning center dedicated to community building, education, mentoring and more. Oregon State University has been an enthusiastic collaborator with CMLC for the past 11 years. In addition to serving the Corvallis community, CMLC’s services, programming and collaborative space are also available to OSU students, faculty and staff. While their old 9th Street house has a special place in CMLC’s heart, the move to the Einerson House space will allow CMLC to serve its community better. For one, the Einerson House is more easily accessed by public transportation and is closer to the Corvallis campus, making it more accessible to the community. In addition, the main entrance to the house has been moved to the rear of the house, where an accessible ramp is available, and the restroom has also been made accessible. Sami Al-Abdrabbuh, the CLMC board president, notes that the Einerson House’s accessibility improvements serve a longer-term goal of inclusiveness for all. In addition, he notes that CMLC will be able to qualify for grants and more funding to expand their programs now that their facility has improved accessibility. The Einerson House (pronounced Eee-ner-son) was occupied from 1937 until 1967 by Joseph Nicoli Einerson and Marie Mathilda Einerson, who owned a wholesale candy and tobacco store in Corvallis called Einerson’s. Anticipating the Corvallis campus’s eventual growth, Oregon State University purchased the Tudor Revival bungalow at 2638 NW Jackson Street in 1976. In 1990 Oregon State University’s Asian Cultural Center (later, the Asian & Pacific Cultural Center) was established there. CMLC moved into the renovated space in early July, and the CMLC will hold a grand reopening celebration on Saturday, October 13th from 1:00 – 3:00 pm.